Sonim Technologies, which is known for manufacturing world’s most rugged, water-submersible mobile phones has launched the world’s toughest phone, Sonim XP3300 Force. With the launch of this handset, Sonim has secured its entry into the Guinness Book of World Records. The phone was tested in the presence of independent judges from the Guinness World Record by dropping it from a height of 25 metres. This handset beats the world record of 3.25 metres set by the JCB Toughphone in 2008. This phone can withstand tough conditions like industrial and construction areas. It is dust and water resistant handset as well. It can remain under water at a depth of 2 mts for 1 hour without any damage. This macho handset weighs 185gms and is 25mm thick. It features 2-megapixel camera with LED flash, Java enabled OS (supports apps like Opera Mini), GPS, Noise cancellation, and a 23mm speaker. The handset has a 3.5mm jack and a 1750 mAh battery that gives a talk time of over 20 hours. The handset is available in two colors, yellow and black. 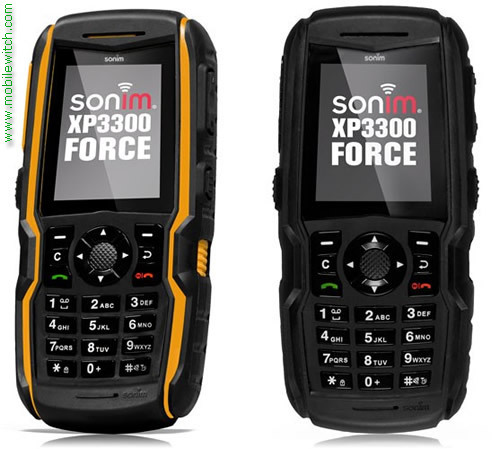 Bundled with such unique features Sonim XP3300 Force comes with a price tag of USD 525 (Rs23,000 approx. ).